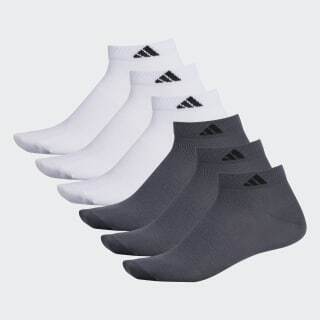 Low-cut socks made of sweat-wicking fabric. These training socks keep your workout comfortable with a super lightweight low design. They're made with soft moisture-wicking fabric to keep feet dry. They come six pairs to a pack.